Some of the features of the circa-1800s building ? like the elaborate stained glass skylight ? will be moved to the new penthouse apartment. Arkadi Novikov, who runs the exclusive Novikov Restaurant & Bar in London, was in New York last week and visited the site, sources told The Post. Sapir and Rosen also own 260 and 261 Madison ? where Zuma attracts a line of limos every night ? 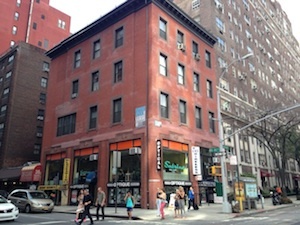 and 11 Madison, which hosts the restaurant 11 Madison Park. The Madison Avenue corridor from 23rd Street to 42nd Street is becoming an upscale hotel, residential and retail zone focusing on interior design.